RICHMOND — Gov. Terry McAuliffe will leave office without pardoning Jens Soering, a German diplomat’s son convicted of a 1985 double murder that he and a growing number of supporters claim he did not commit. In a series of TV interviews Thursday looking back on his four-year term, the outgoing governor said the state is still investigating Soering’s claim that DNA evidence shows that someone else killed his girlfriend’s parents in the central Virginia town of Bedford. Soering is serving two life sentences for the deaths of Derek and Nancy Haysom. At the time of the murders, he and his girlfriend, Elizabeth Haysom, had been honors students at the University of Virginia. Soering initially confessed to the crime but later said he was only trying to protect Elizabeth Haysom from the electric chair under the mistaken belief that he had diplomatic immunity because of his father’s position. He was convicted in a sensational 1990 trial that drew international media and gavel-to-gavel coverage on local cable television. Haysom pleaded guilty to being an accessory before the fact, contending that she helped plan the murders but did not physically take part. She is serving a 90-year sentence at Fluvanna Correctional Center for Women near Charlottesville. She has insisted over the years that she was not at the murder scene, and that they both belong in prison. 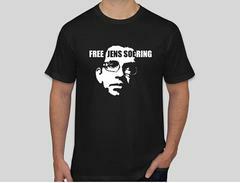 Soering’s supporters have raised questions about the case for decades, noting that Soering got some details of the crime scene wrong in his confession. They dismiss as “junk science” a bloody sock print that prosecutors said tied him to the case. 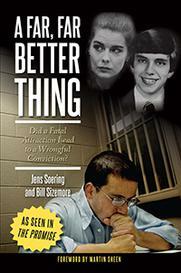 Soering also has gained attention and supporters for writing a string of books behind bars. German Chancellor Angela Merkel has pressed for his release. Now-Sen. Tim Kaine (D-Va.), at the urging of the German Embassy and Richmond’s Catholic bishop, agreed when he was governor in 2010 to transfer Soering to a German prison. But his Republican successor, Robert F. McDonnell, stopped the transfer because, once in Germany, Soering could have been freed after two years. The push to release Soering picked up steam more recently, as new blood analysis performed in the summer of 2016 indicated that a man other than Soering was the source of the type O blood found at Haysom’s home. The blood was the only physical evidence to tie him to the scene besides the disputed sock print. Also last year, German filmmakers released a sympathetic documentary about Soering. Titled “The Promise,” it suggested Haysom committed the murders, perhaps with help from a drug dealer or two. The film, now updated with the blood analysis findings, is getting a limited theatrical release in U.S. theaters and video on demand starting Friday, under a new title: “Killing for Love.” Actor Martin Sheen, a longtime supporter, is slated to appear at the opening in Los Angeles.